Trips to Walt Disney World are so much fun, but honestly, they can also be exhausting. With so many things to see and do, it can be daunting to try and fit everything in. 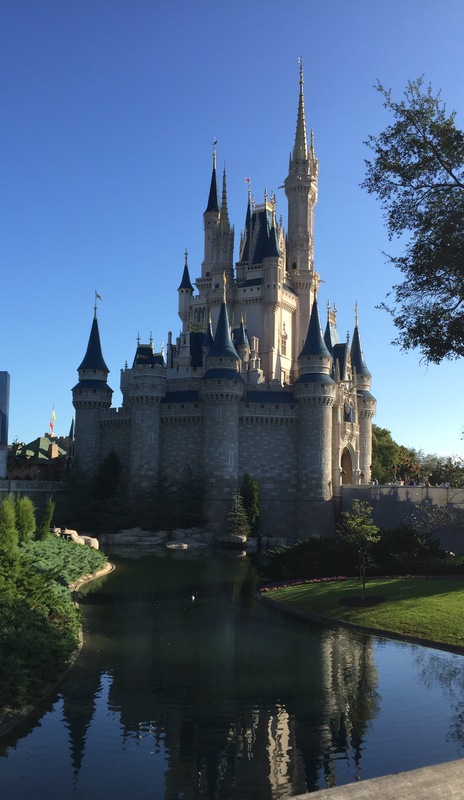 Miles and miles of walking occur throughout the parks, waterparks, resorts and Disney Springs, and more often than not, the Florida heat and humidity accompanies. The good news is that there are many attractions at Walt Disney World that offer guests a break from walking and standing in the outdoors. 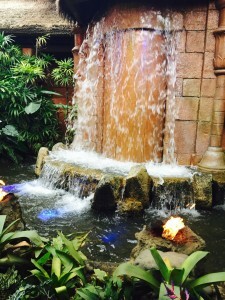 Here are some of my family’s favorite “restful” attractions in the theme parks. These attractions provide a lengthy and indoor (air-conditioned!) environment, with seating, all the while entertaining guests with Disney magic. You won’t feel like you are missing out on anything while enjoying a nice rest! Walt Disney’s Carousel of Progress (Magic Kingdom)- This indoor, revolving theater is a true Disney classic. Moving around a center stage (like a carousel), park guests watch a typical American family through different eras and learn how technological advances influenced each one. This ride lasts 21 minutes, and I promise you will leave with the tune of “It’s a Great Big, Beautiful Tomorrow” stuck in your head! Check out this article for more info on Carousel of Progress. Country Bear Jamboree (Magic Kingdom)- This is a love-it or hate-it attraction for most guests, but the Country Bear Jamboree (located in Frontierland) is a 16 minute, country-style musical celebration featuring a group of singing and performing bears. Even the lobby area is air conditioned with lots of seating pre-show. Hall of Presidents (Magic Kingdom)- After entering through the impressive grand rotunda at Hall of Presidents (modeled after Independence Hall in Philadelphia) park guests enter the 700-seat main theater to enjoy a show involving projection screens and impressive Audio-Animatronic replicas of America’s Presidents all on stage together. This theater is dimly- lit and great for a rest. Mickey’s Philharmagic (Magic Kingdom)- Not only is Mickey’s Philharmagic a great place to sit, relax and enjoy a great show, it is also one of my favorite attractions in all of Walt Disney World. There are so many great things about this attraction, including short wait times throughout the year! Enjoy seeing lots of your favorite Disney characters in this 3-D musical movie. While you rest your legs and cool down, enjoy 12 minutes of musical fun with a few surprises. 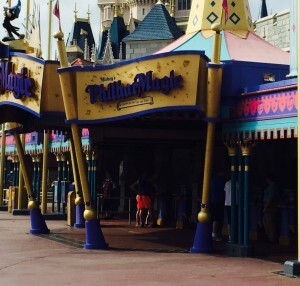 Our family never misses this attraction while visiting the Magic Kingdom! The American Adventure (Epcot)- Located in the World Showcase, The American Adventure offers an amazing look at the pivotal moments of American history. The large theater can accommodate up to 1,024 guests, and features both film and Audio-Animatronics. The building overall is quite impressive. The American Adventure offers a convenient and informative resting spot for those making their way through the World Showcase. Muppet Vision 3D (Disney’s Hollywood Studios)- With nearly always a short wait time, guests can enter Muppet Vision 3D and enjoy a fun show featuring all of the favorite Muppet characters. 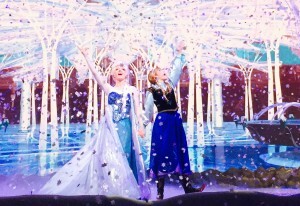 For the First Time in Forever: A Frozen Sing-Along Celebration (Disney’s Hollywood Studios)- You can really just let-it-go and enjoy a highly entertaining show when you visit this sing along! 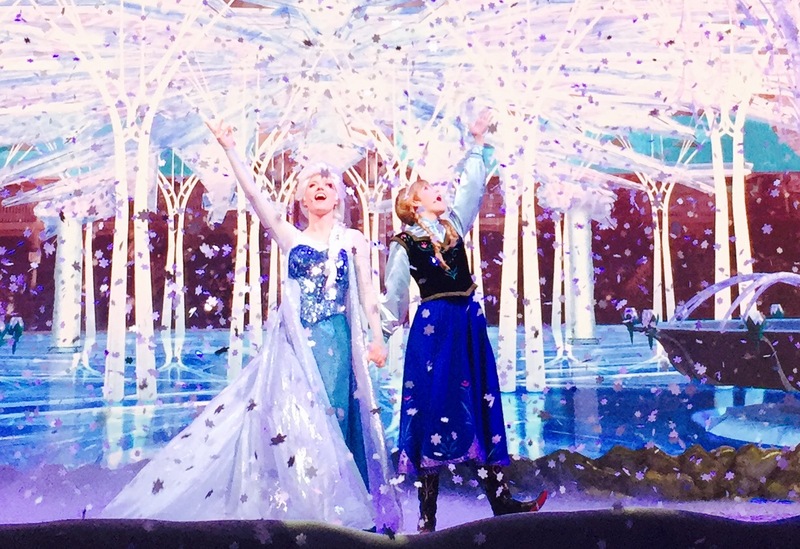 Even if you are not a Frozen fan, this stage show is full of laughs, and the environment is always exciting as everyone belts out their favorite songs from the film. All of the main characters from the movie (except Olaf) appear. The seating area is quite large, and this is perhaps one of the most entertaining places to have a rest. Looking to cool down? It even “snows”! Voyage of the Little Mermaid (Disney’s Hollywood Studios)- Not to be confused with the Under the Sea- Journey of the Little Mermaid ride at the Magic Kingdom, Voyage of the Little Mermaid is a 15-minute show featuring live performers, puppets and special effects. The theater is cool, dark and comfy. Enjoy the show! It’s Tough to be a Bug! (Disney’s Animal Kingdom)- I will be the first to admit that this attraction terrifies me! Mostly just one part, but still, bugs are not my thing. While I can, in no way, relax in the large, dark, cool Tree of Life theater and watch this 3D show featuring too many bugs to name, I didn’t want to exclude it from my list simply because my family likes it. It is a chance to enjoy the air conditioning and have a seat, but even the seats have surprises! For a closer look at this attraction check out Darlin’ Diva’s review here. Festival of the Lion King (Disney’s Animal Kingdom)- Whatever you do on your next trip to Walt Disney World, do not miss this show! It has been a favorite of mine since the first time I experienced it years ago. It is truly breathtaking. Indoors, air conditioned and amazing! While the seating is bench style, you can still rest your legs. Honestly, you will be so engrossed in the show, you may be on the edge of your seat anyway! These are just a few of my family’s favorite restful attractions at Walt Disney World. 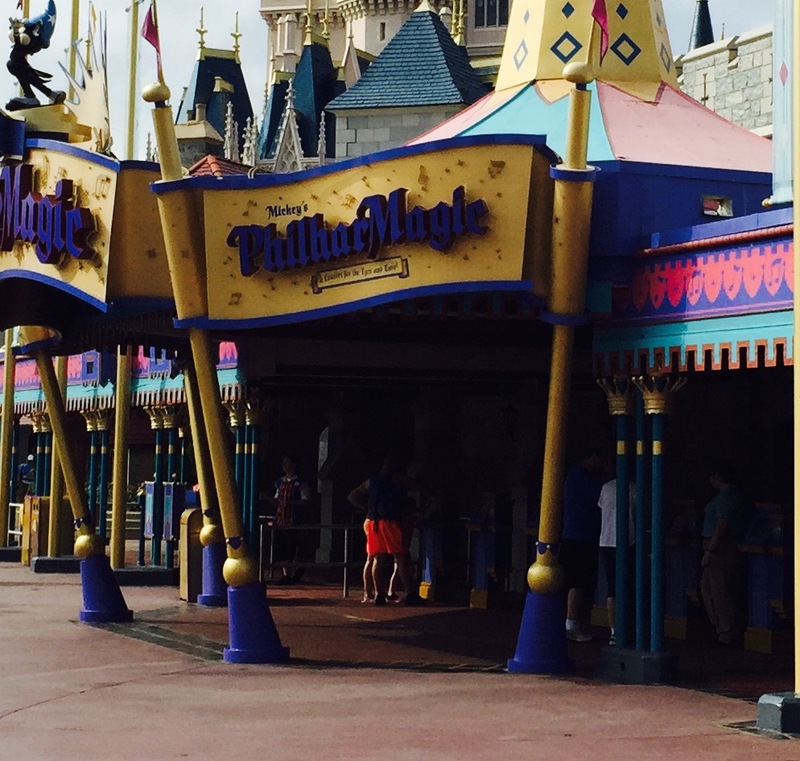 I love that we can enjoy a time to sit down and cool down, but never miss a moment of magical fun! There are still some we look forward to experiencing, like the new Disney & Pixar Short Film Festival. What restful attraction does your family enjoy the most? Ready to plan your next magical vacation? Be sure to contact Patricia with All for Dreams Travel! Breck is a true Disney addict! 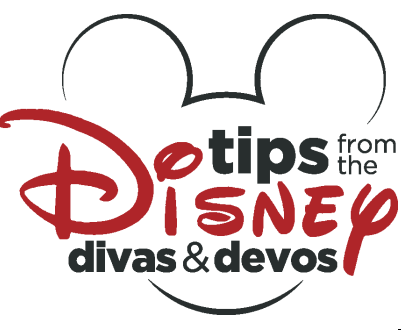 When not incorporating Disney fun into everyday life, she is constantly planning her family's next great adventure to Walt Disney World or on the Disney Cruise Line. She is a member of the Disney Vacation Club.